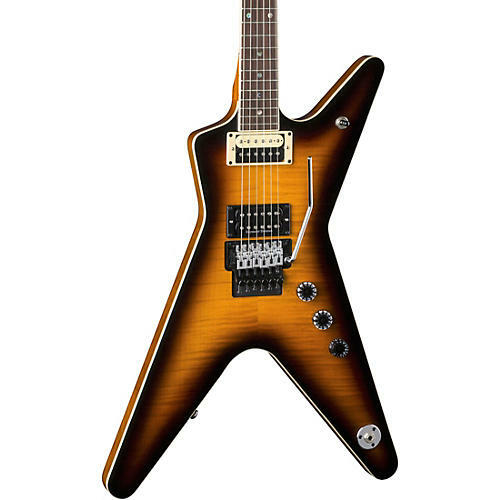 Built to the exact spec of his original ML of the same name, this Dean Dimebag PBD features a stunning flame maple top that shines through the classic transparent Brasilia finish. Built with a touch of class that won't get in the way of aggressive playing, this guitar delivers excellent balance between rhythm and leads, thanks to the combination of DMT Design and Seymour Duncan SH-6 pickups. It's the perfect instrument for setting your riffage to stun.